Official statistics and reports indicate that Malta’s economy is experiencing continuing growth. 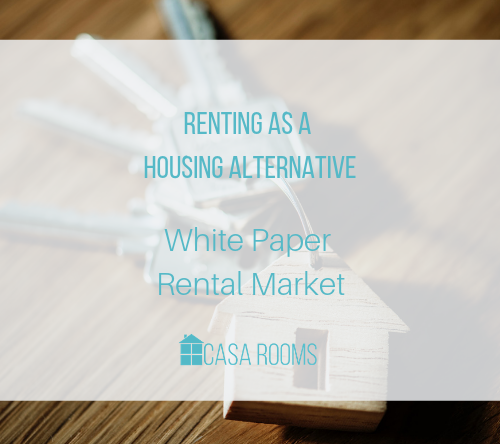 A number of aspects relating to the rental market are pointing to ... read more. Official statistics and reports indicate that Malta’s economy is experiencing continuing growth. A number of aspects relating to the rental market are pointing to sustained progress based on the Individual Investor Programme, incoming tourism, and expatriates residing in Malta. The Government’s fourth Annual Report on the Individual Investor Programme states that since the launch of the programme to 30 June 2017, 483 properties are being leased to applicants, with 340 leased between July 2016 and June 2017, which is a notable increase from the July 2015 to June 2016 period of 107 properties. Thus, if one takes a simple average of the last two years’ demand, it is expected that an additional 223 properties are needed in the year ending 30 June 2018 without factoring in any growth due to the apparent popularity of this programme up to that date, and beyond. Malta’s tourism sector continues to achieve increased traveller arrivals with the resultant rise in occupancy rates for hotel accommodation and for the short-let market. In the latter accommodation, tourists have the additional advantage to actually reside among the local community and experience everyday life in Malta. The website of holidaylettings.co.uk lists 2,284 units throughout the Maltese Islands that cater to this segment of the rental market. Casa Rooms expects the short-let market to grow by 15% over the next year, with a demand for a further 350 properties. The Chairman of JobsPlus, Clyde Caruana, was quoted at the EY Conference in October 2017, stating that 12,500 new workers will be needed in 2018 of which 2,000 vacancies are not expected to be filled. Should 2,500 vacancies be filled by Maltese nationals (as in the previous year), who generally do not rent property, that would leave 8,000 vacancies available for imported labour. Since most expatriates will not settle long-term in Malta, they would typically rent a residence. Conservatively, if three expatriate workers reside in each property, that occupancy rate would generate the need for an additional 2,667 rental properties. Will the additional rental properties come from unoccupied property stock? The last Census (2011) established that 20,000 dwellings, although in good state of repair or requiring minor repairs, were unoccupied. The study published in October 2017 by KPMG on the local Construction Industry and Property Market reports that a number of key players in the industry think that the actual number of vacant properties is lower than 20,000 units, stating that such properties are vacant principally due to lifestyle changes, inheritance disputes, and incorrect pricing. In addition, most developers have noted that, in recent years, there has been strong demand with the sale of properties on plan. Moreover, the recent rise in rents has encouraged landlords to bring their properties to the market. It can be expected that even from the new property launched onto the market, 10% of the market (being over 300 properties), will be vacant due to inefficiencies in the market. Property owners who are new to, or inexperienced in, the rentals market should be aware that they must present the property to the appropriate market standard, maintain that standard, comply with licensing regulations, and price their rental at a competitive rate. Read the article on Times of Malta.